On a cold, dreary afternoon in December, the activity inside the Bayside Sixth-Grade Campus was anything but that. “To help us get into college,” answered one student. “To have fun!” exclaimed another. Mentors from Virginia Wesleyan College, Bayside High School, First Colonial High School, the Virginia Beach Rotary Club and Bayside Sixth Grade Campus were all on hand to support the students. They agreed to volunteer their time throughout the school year to help Lanz and his Bayside colleagues promote the three Cs – college, careers and community – for which the C Straight program is named. C Straight participants compete in a dodgeball match with their mentors. Following the introductory session, students and mentors worked together in several activities. 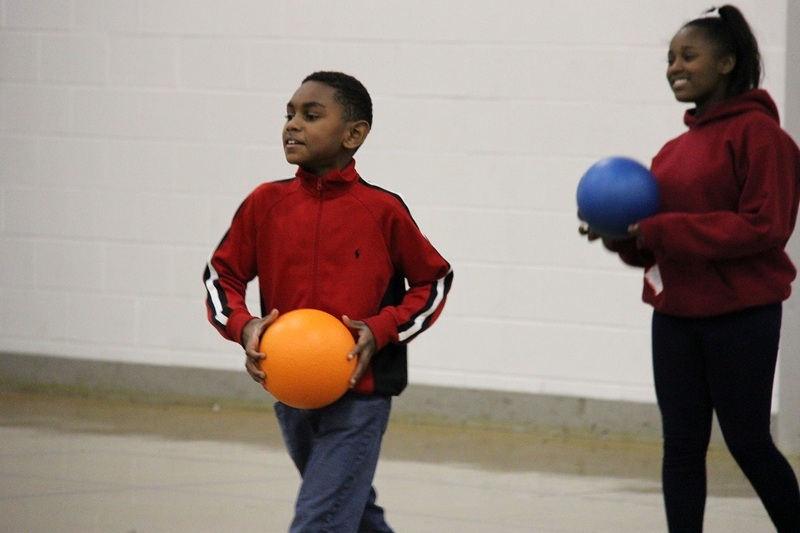 Teams took part in a dodgeball match in the gym, and sixth-graders took great delight in competing with and against some of their classroom teachers. In the cafeteria, students talked with each other and their new mentors as they designed rubber band loom bracelets. The afternoon’s activities concluded with an ice cream sundae celebration that was enjoyed by all. C Straight volunteer Sydney Covey, a senior at Virginia Wesleyan College and active mentor in the Bayside community, had a surprise reunion with two former mentees at the kickoff event. The sisters, now ninth-graders at Bayside High School, are following Covey’s example and serving as mentors for the C Straight program. 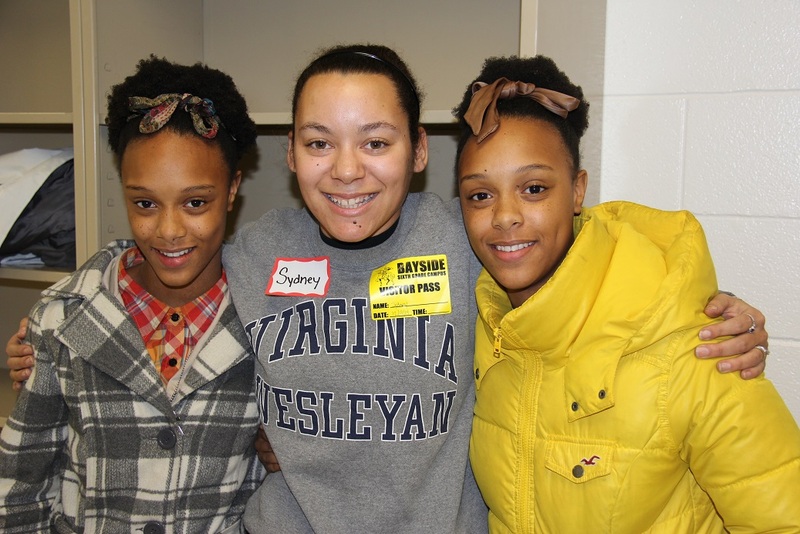 VWC senior Sydney Covey catches up with her former mentees, twin sisters Shanese and Lae’nese Bernard. C Straight is supported by a Virginia Beach Education Foundation (VBEF) Innovative Project Grant that is underwritten by the Community Leadership Partners of the Hampton Roads Community Foundation. Grant directors Lanz and VBCPS social worker Jeneshia Ferebee applied for the grant to help infuse the three Cs of college, careers and community into activities for students in grades five through eight at Bayside Sixth Grade Campus, Bayside Middle School and Bettie F. Williams Elementary School. C Straight activities will take place throughout the year with support from community volunteers and school staff. To learn more about the Virginia Beach Education Foundation and its 2014 grant recipients, visit the VBEF website. Wow! Shay and Lay you are beautiful!!!!!!!!! Give my love to my grandson, David and your Mom.